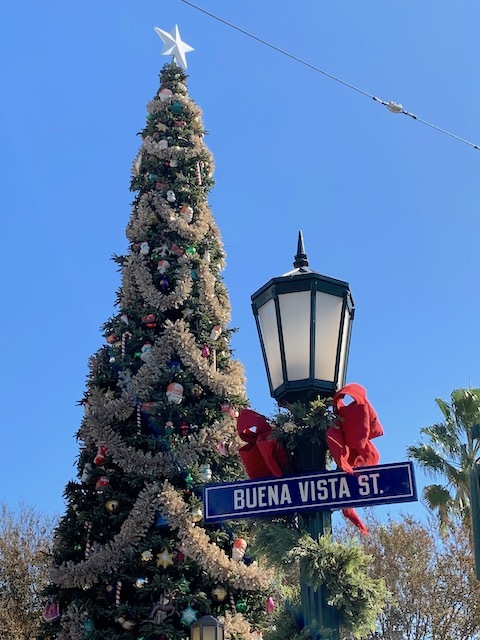 November 9, 2018, 9:34 PM · The Holidays at the Disneyland Resort officially kicked off today, and we are kicking off our coverage with the Festival of the Holidays at Disney California Adventure. 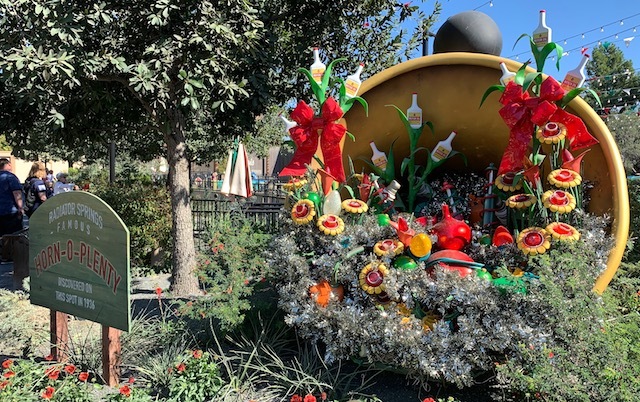 Celebrating the world's winter holidays, DCA offers nods to everything from Christmas to Hanukkah to Diwali to Kwanzaa and more. The big attraction here are the dozen food and beverage marketplaces that line Paradise Park, but we'll get to those in a moment. 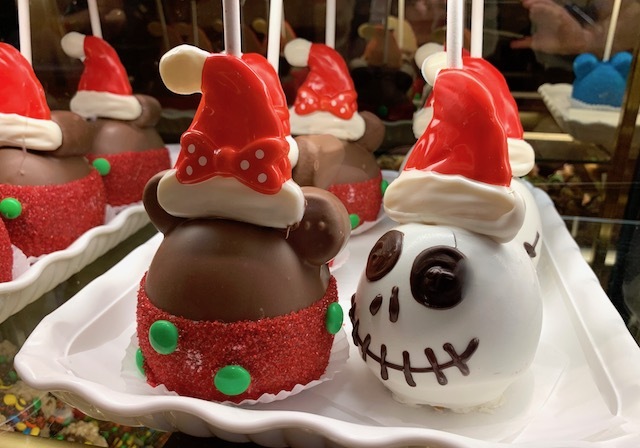 But first, a look at some of the sweet temptation available on Buena Vista Street. 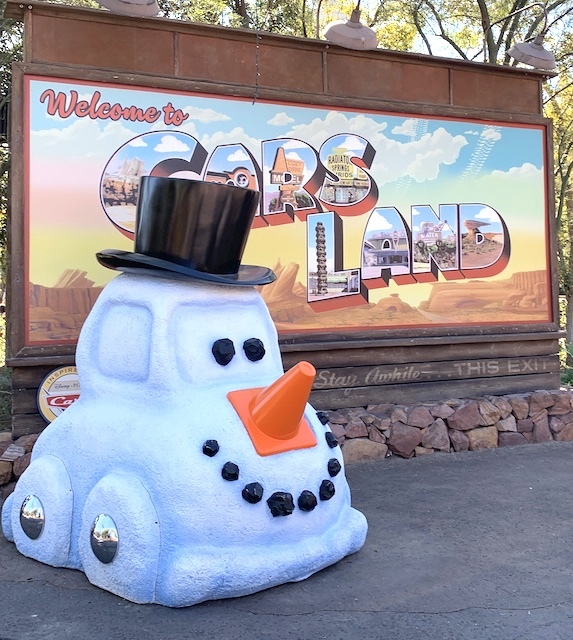 They're celebrating Christmas in Cars Land again this year, too. 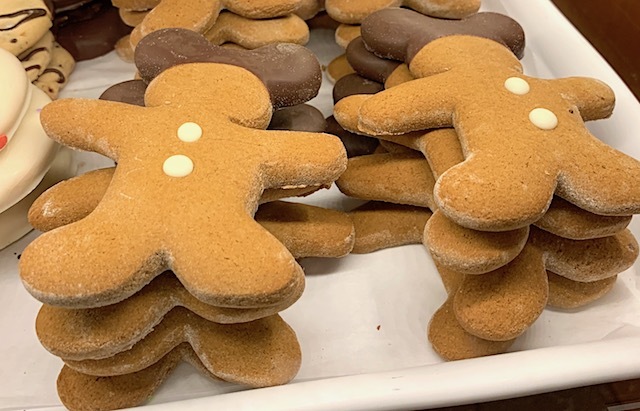 Okay, we've worked up our appetite, so let's hit the marketplaces. I posted to Twitter this morning this year's menus to all the marketplaces serving food. But I couldn't possibly hit all of those in one go. So I picked three to sample today, Winter Sliderland, Merry Mashups and Holiday Duets. First up, Winter Sliderland, for the Roasted Turkey Slider, with gravy, stuffing and cranberry sauce ($7.50). Alongside, I ordered the Holiday Stuffing Mac & Cheese ($7.75). 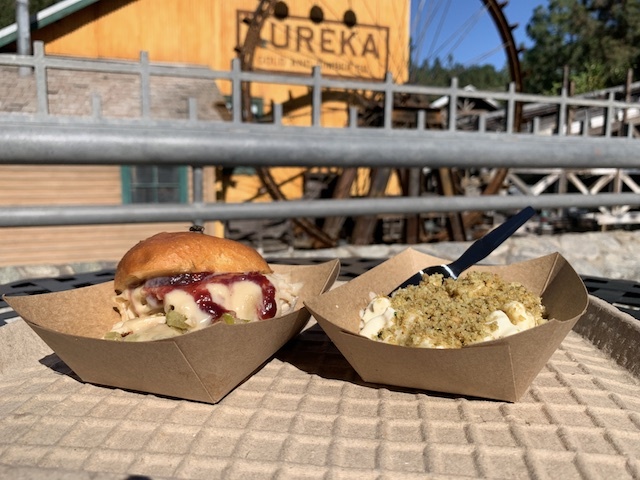 The slider was delightful — a Thanksgiving dinner in one hand. 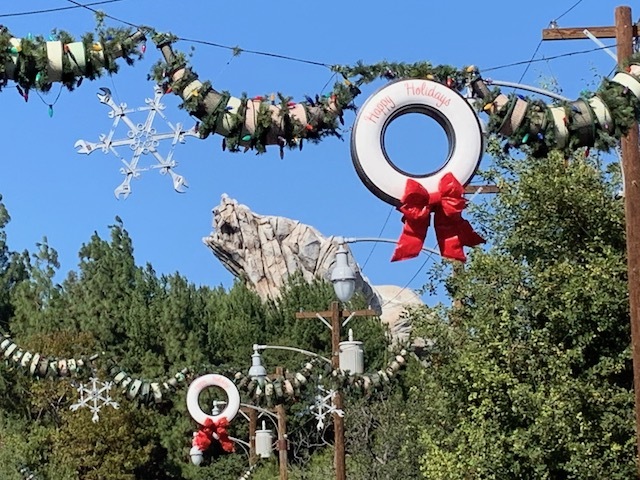 Sure, it was goopy, thanks to that gravy and cranberry sauce. But the turkey tasted like turkey and the slider delivered everything that it promised. 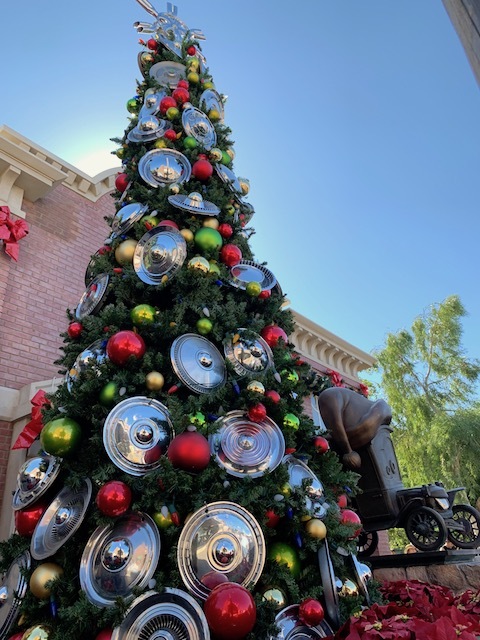 Now, whether you should have ordered the much larger Holiday Sandwich at Earl of Sandwich in Downtown Disney to get a much larger meal for the money is another question. Either way, you're better off than with the Holiday Stuffing Mac & Cheese, which tastes like the blandest possible mac 'n cheese with a bag of dry stuffing mix ground over it. No. 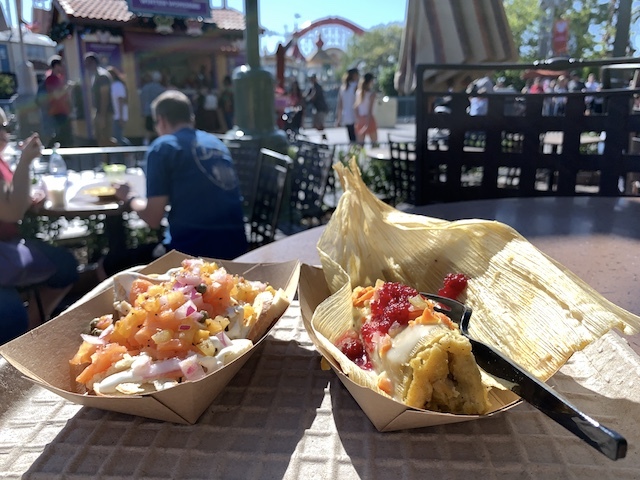 Next up: Merry Mashups, for another take on turkey with a Turkey & Stuffing Tamale, again with gravy and a cranberry relish ($7.75). Its accomplice would be the Lox & Everything Bagel Nachos ($7.50). This turkey just could not stand up to the masa in the tamale. A tamale flavor needs some kick to do so, and turkey and stuffing is pretty much the antithesis of a spicy meal. (Though the Nashville Hot Turkey sandwich at Spicy Celebrations, which I tried last year, gives that a go). The winner here was the Lox "nachos," served on bagel chips. The relish and cream sauce come together with the Lox nicely, though I ended up eating that with a fork and skipping the bland chips. Fortunately, I saved the best for last. 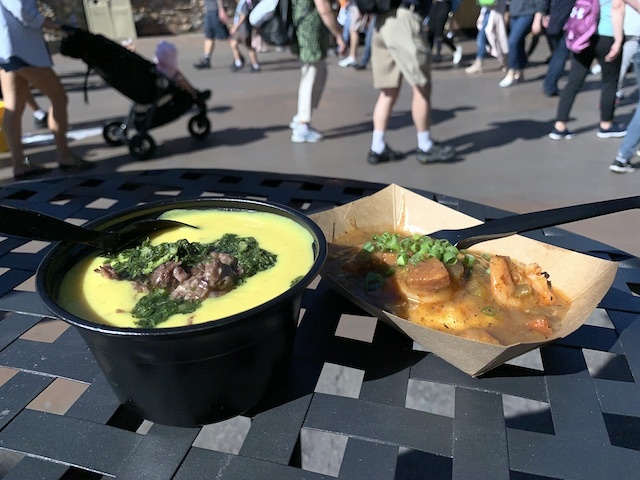 My pick for where to eat at Festival of the Holidays was Holiday Duets, where I tried the Curry Cauliflower Soup, with braised lamb and minichurri ($7.50) and Shrimp and Grits, with Andouille sausage ($8). 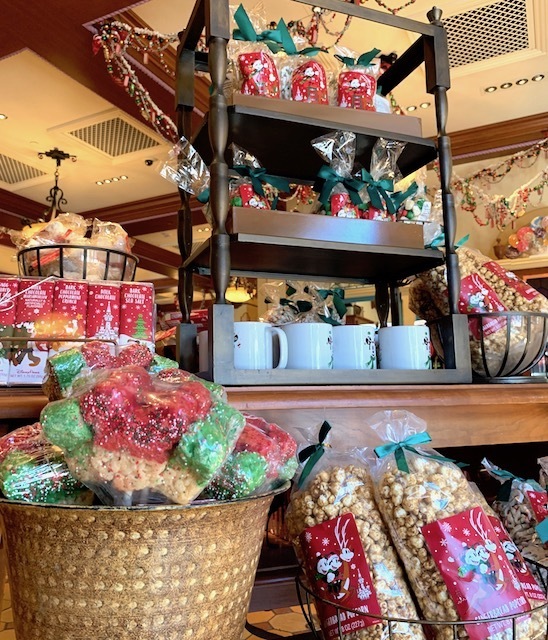 Hey, it's a festival of a whole bunch of holidays — not just Christmas, so why shouldn't my favorites be from Diwali and Kwanzaa? 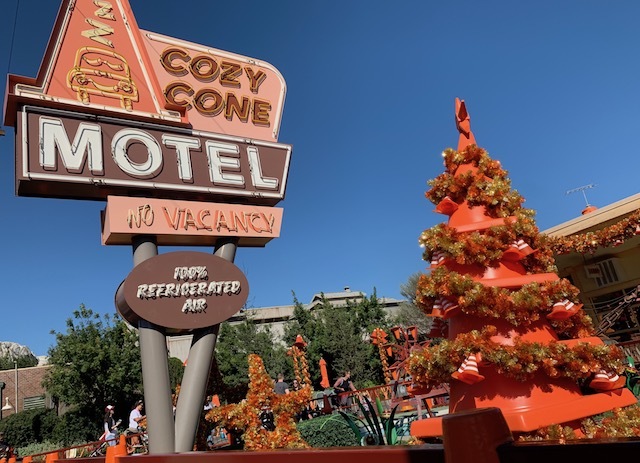 Here is the unique (for American theme parks, at least) flavor that was missing from the other stands. The shrimp and grits delighted with a welcome kick from the Andouille, and the curry soup was one of the best things I've eaten in a theme park all year, bolstered with the meaty lamb and the warmth of the curry. I LOVE the idea of the Lox and Bagel nachos. I may have to try making that at home.